Please follow the links to the latest quarterly newsletter. President’s Corner - Are we being left behind? What is this big hype about Industry 4.0? One should actually ask, what is Industry 4.0? Talking about the fourth industrial revolution, one cannot help but think about what really happened in the previous three and how those impacted our day-to-day going about doing our jobs. In short, condensing hundreds of years into a few lines, the first industrial revolution (IR1.0) saw the birth of the word press. With this, reproduction of books became faster and knowledge got round faster, however that led to the need for more people to become literate. 798 abstracts were accepted and 15 were rejected. The list of all accepted abstracts will be available soon at the Congress webpage. The site is open for the full paper submission and will close on March 18th. 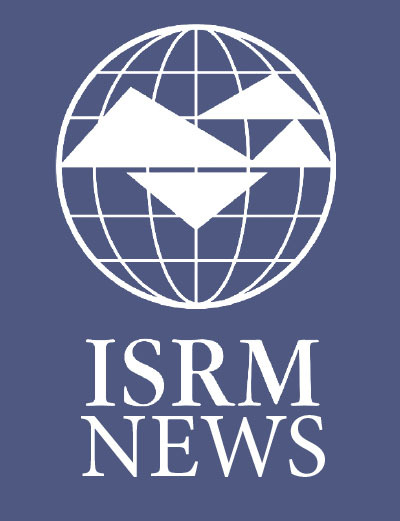 Taylor and Francis will be the Publisher for ISRM2019 and all refereed and finalised pa-pers must be with the Publisher by the end of June. Registration is open as well as reservation for accommodation at the official hotel. In-structions are available at the Congress webpage. The announcement for Rockbowl and call for team registration have been published at the Congress webpage. Some contacts have been made and the work is coming along very well. Sponsorship has been granted by Geobrugg. It is with deep sadness that we inform all ISRM members that our Past President and friend John A. Hudson passed away last Wednesday, 14 February 2019, in London, from complications resulting from a severe stroke. John was one of the most active members ever of our Society - chairman of the Commission on Testing Methods during 19 years, Vice President, President and Fellow. He was one of the most influential teachers of rock mechanics and author and editor of several of the most relevant books on the discipline. We will keep warm memories from him for his paramount professional contributions, but also for the permanent friendship and kindness. The ISRM will prepare tributes to John Hudson during the coming months. Our thoughts are with his wife Carol and his close family, to whom we present our deepest condolences. Subscribe to the RockTalk Newsletter for updates, announcements and more.